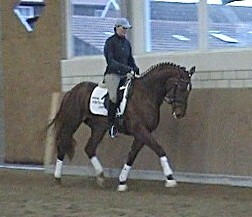 Duncan Mc Cloud Ride like on clouds a definite FEI prospect! Sweet ladies horse, fun every day! Dream bloodlines, movement and looks! 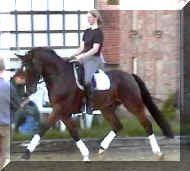 Andolino Easy to ride, even tempered, suitable for the smaller rider! 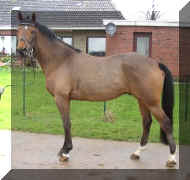 Danny Stunning to look at, easy to ride with great character, ready to show First Level. 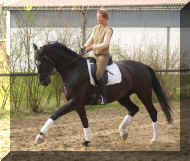 Warner Lovely black gelding with fantastic temperament, safe and sane! Collin Emergency sale – your chance to get a super schoolmaster! 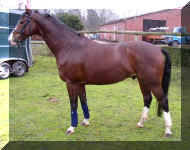 Ronaldo Rotspon/Davignon/Matcho, ideal amateur safe horse, beginners can ride this one! 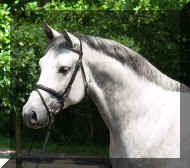 Evian 3rd level schoolmaster, confidence builder for dressage or over jumps! 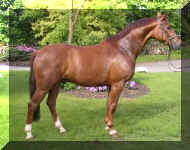 Benson Stunning bay Baroncelli son, a perfect horse to collect the ribbons!